Many things were said when President Buhari visited Kano. Some say it is all politics ahead of the 2019 election, but the President wants us to believe that his love for Nigerians transcends power. 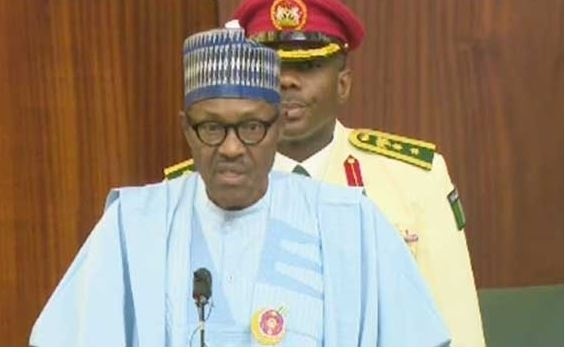 At a dinner organised in his honour by Kano State Government on Wednesday night, Buhari said he would remain focused to restore the lost glory of the country. “I will continue to do my best because my problem is Nigeria. Nigeria is my target and I will remain focused to move the country forward,” Buhari said. He said his administration would continue to accord priority attention to education to empower the youth and enable contribute to national development. “If you educate people, you empower them. So, we have to make sacrifice to prepare the youth for the future,” Buhari said. He expressed happiness over the wonderful reception accorded him and his entourage by the people of the state on their arrival in the state capital. “I am overwhelmed by the massive turnout of people who left what they were doing to welcome me. This should be a clear message to the opposition.